The Space Industry Bill, a new legislation that will allow rockets and satellites to be launched from the UK, has been given Royal Assent today, March 15. The move will help Britain make its way to the forefront of space exploration as British companies will not have to travel abroad to launch rockets, ultimately making it cheaper. The space travel industry is set to be worth £25billion in the next 20 years, and the UK is hoping to get its slice of the pie. Currently, the UK’s share of the global space economy is 6.5 percent, but with the passing of the bill, authorities are hoping to get this to 10 percent by 2030. Jo Johnson, Transport Minister, said: “Access to space is the final piece of the puzzle for the UK space sector and forms part of the government’s Industrial Strategy – helping to drive growth across the country and unlocking hundreds of highly-skilled jobs in our regions. 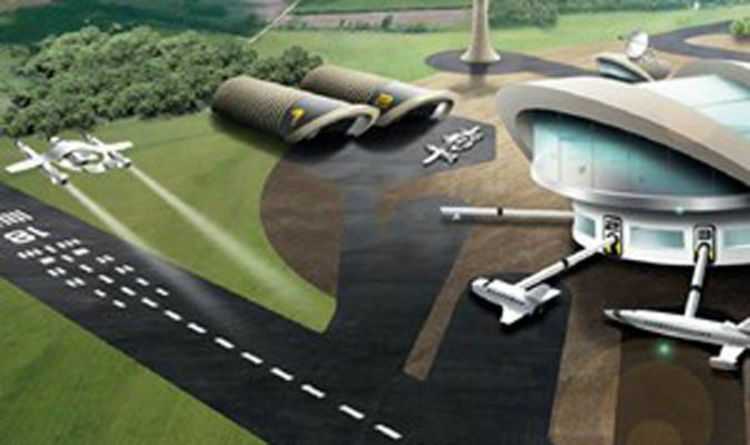 A number of locations have already been shortlisted for a potential spaceport, including aerodromes in Campbeltown, Argyll and Bute; Glasgow Prestwick; Stornoway, Isle of Lewis; Newquay, Cornwall and Llanbedr, Gwynedd. Dr Graham Turnock, Chief Executive of the UK Space Agency, said: “The Space Industry Bill guarantees the sky is not the limit for future generations of engineers, entrepreneurs and scientists.